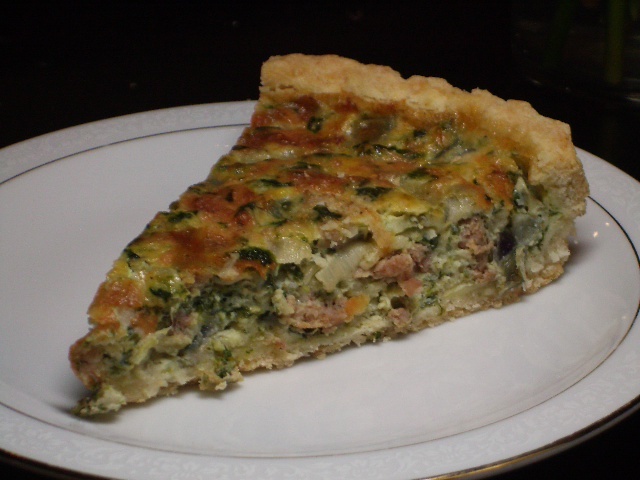 Quiche is a brunch staple. At least it is in our house. This recipe is very basic and can be altered to include almost any filling. 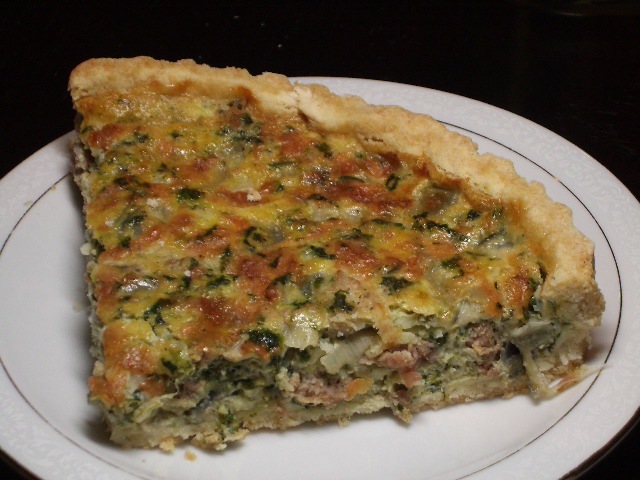 We happened to have sausage, spinach, cheese and onion, but you could easily substitute different types of cheese, and add other fillings (even making it vegetarian). This pie crust is from Nick Malgieri’s Modern Baker cookbook, and is super easy. And…homemade pie crust makes ALL the difference, so try it. YUM. Must have been a snow day feast.